Let’s raise our glasses to the end of the demonstrations, the end of circumnavigating blocked roads and having to find alternative routes and of course, the continued distribution of Pertamina’s superficially-low subsidized premium. 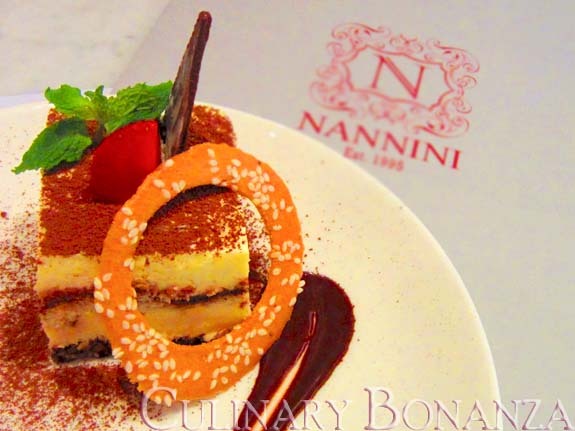 My personal opinion aside, this weekend, I’d like to recommend Nannini to you. 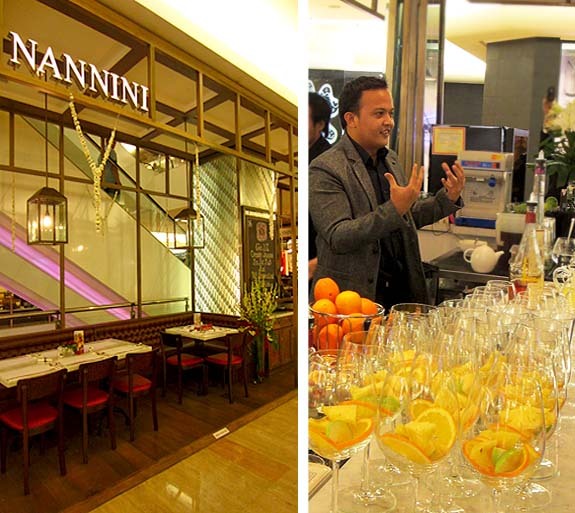 Established in 1995, this year NANNINI celebrates its 16th birthday by expanding its reach and it has decided to open its second branch at Plaza Indonesia. You should hurry, because you can enjoy the 20 percent new-store-opening discount only until Saturday night. 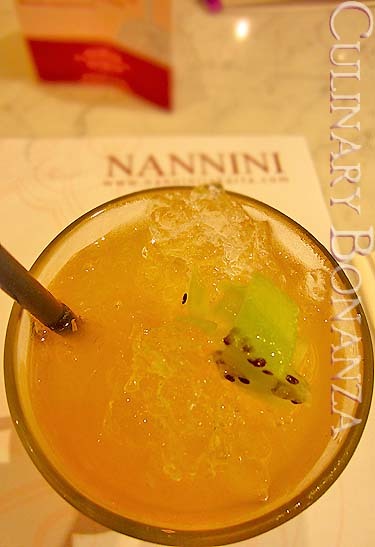 While mainly focusing on western dishes, NANNINI also offers Indonesian fare such as the Tekwan Soup, etc. 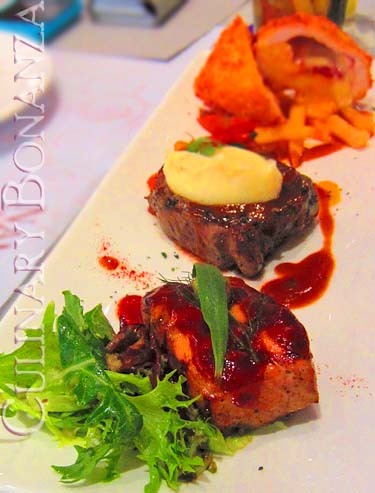 Boosting an award-winning executive chef Francis Lim, Nannini is set to spoil your taste buds with special monthly creations, such as the pan-seared foie gras with apple (single: Rp 165,000; double: Rp 235,000) and the spicy aromatic soto that is now the new bestselling item. 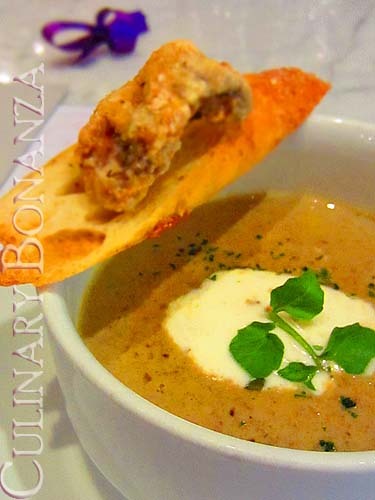 What I loved most about the evening’s menu was the wild mushroom soup. It is a very well-done concoction, not too smooth or too chunky. The mushroom bits remind you that it is still a soup and not a puree. But of course, the highlight of the whole ensemble was the truffle oil added in it and the chunk of fried mushroom. I should have shamelessly inquired for a second helping! 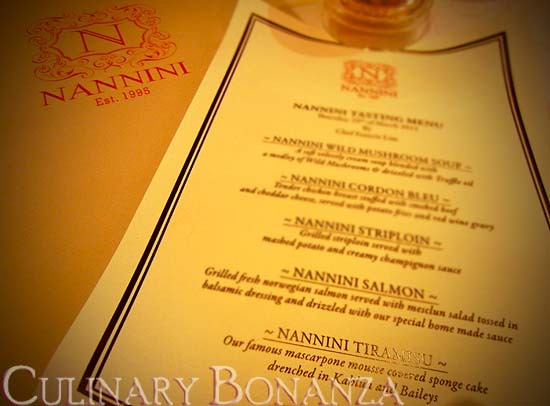 I would say that out of the three main courses served, cordon bleu, grilled striploin, and salmon, the grilled salmon served with NANNINI's special homemade sauce stood out from the rest. The Mozarella Martini piqued my interest, so I brazenly persuaded the manager if I could try it, although it was not on the food tasting menu. Turns out, that concoction was created by the manager himself, who had a mixologist background. My wish was granted (hurrah!). So, what is this mozzarella martini? To quench your thirst for information, it is actually a special mix of plum tomatoes with 3 kinds of cheese (mascarpone, Parmesan, and mozzarella), topped with a fresh hint of basil and a dash of black pepper. 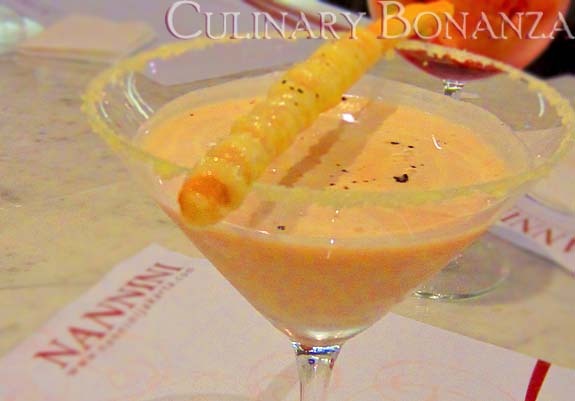 To enjoy it, you should first stir the liquid with your mozzarella-coated bread stick, take a bite and then drink the martini. And no, the martini did not taste salty from the cheese. In fact, it still tasted refreshingly sweet, but you can still distinctly taste the cheese. 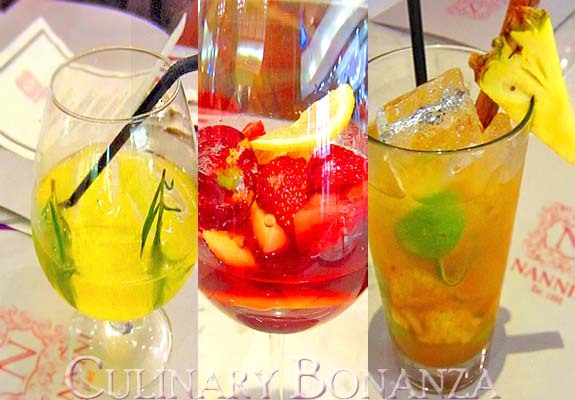 I personally love the idea of the Parmesan-rimmed glass, which added richness to the whole ensemble. I just loved the way you used the word 'ensemble' and 'concoction', though I have no idea what the latter means. HAHA. Well reviewed!